The concept of lopsided power distribution is an issue inherant to our capitalist society in the United States. 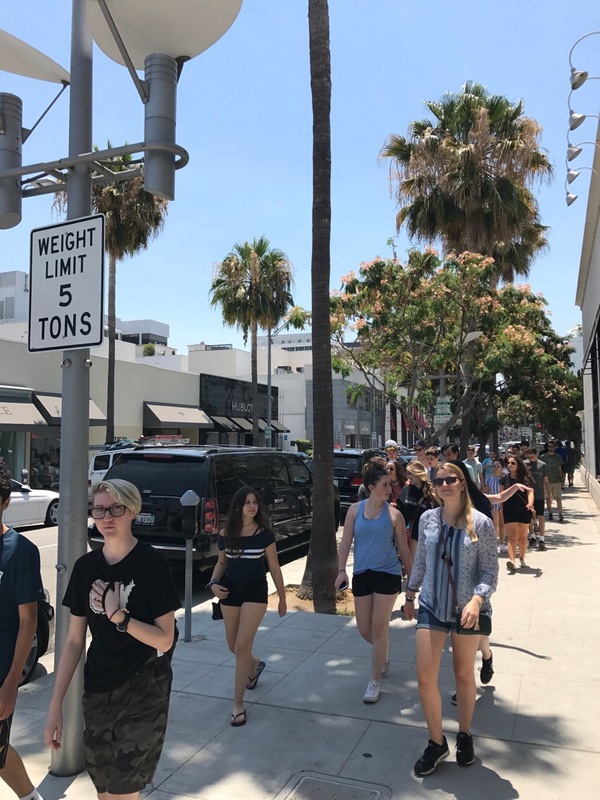 This was quite evident as we travelled throughout Los Angeles and encountered culturally-contrasting areas such as South Central LA and Beverly Hills. Economic discrepancies between these two neighborhoods were displayed through homes, infrastructure, and businesses. However, the two neighborhoods interestingly shared something in common: gates surrounding the neighborhoods. The purpose of the gates in South Central LA is to keep the residents in, compared to those in the Hills that keep unwanted people out. 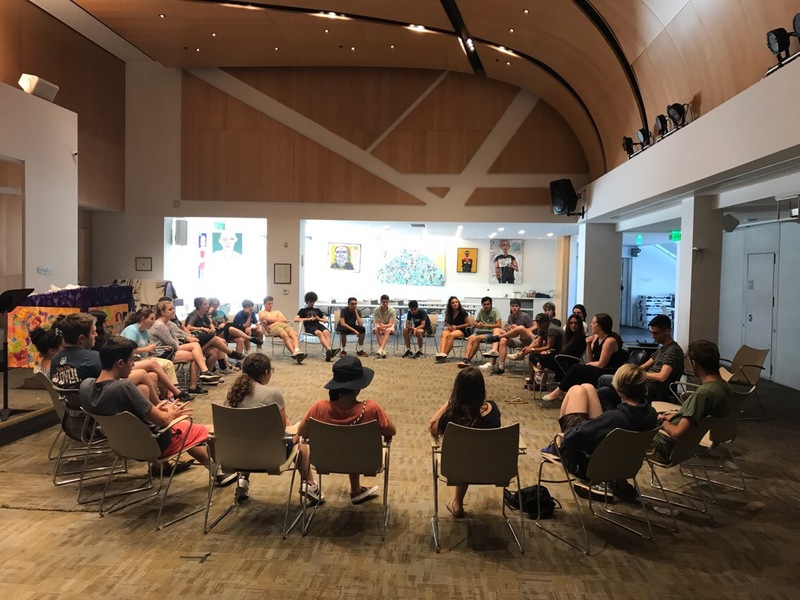 We spoke about the infamous Rodney King riots in 1992, centered around a white police officer’s mistreatment and beating of a black Rodney King. 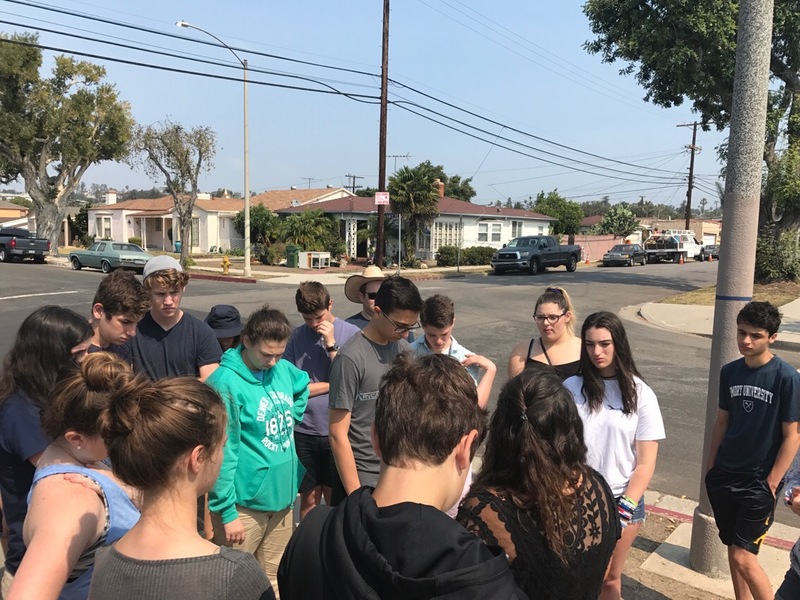 Rather than stopping the riots, we learned that the LAPD formed a blockade around the neighborhoods to contain violence to the rioters’ own neighborhoods. Meanwhile, the similarly-gated communities of Beverly Hills less than four miles away remained untouched. Walking through Beverly Hills was, personally, a bit unsettling. It seemed as though everything was a bit too polished, modern, and expensive. The entire area just seemed unnecessarily ostentatious, especially in stark contrast to poorer neighborhoods like Watts, Compton, and South Central LA in such close proximity. 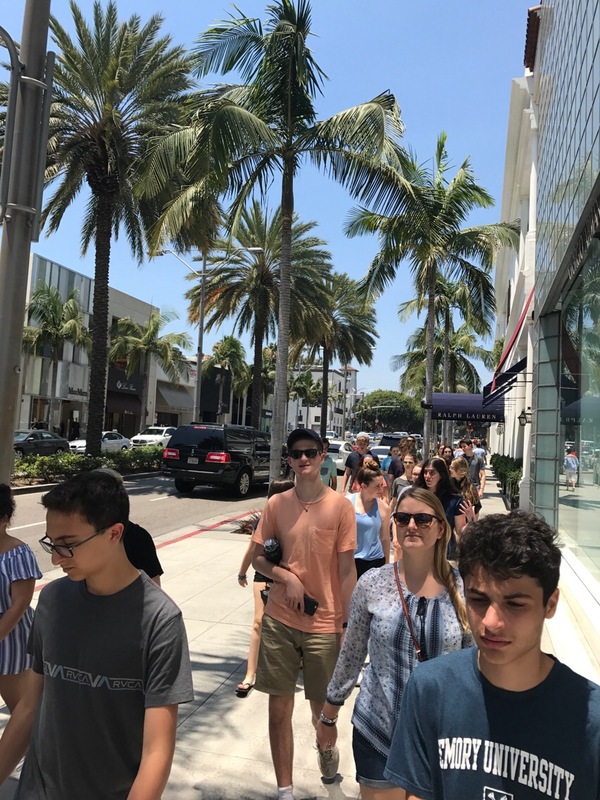 Admittedly, there were some neat aspects of Beverly Hills, such as interesting fashion stores and lots of really, really nice sports cars. 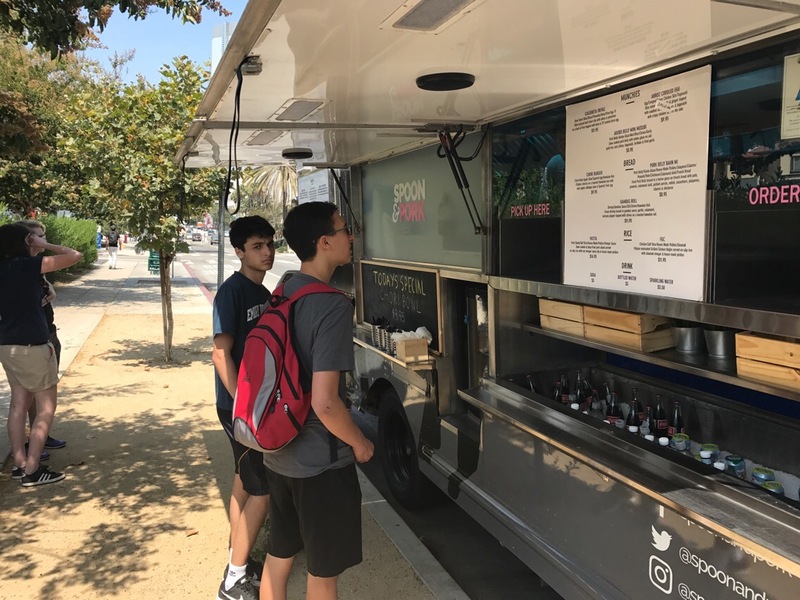 We took advantage of a cultural phenomenon that started in Los Angeles and that is food trucks. We had lunch where we could choose from a few trucks. 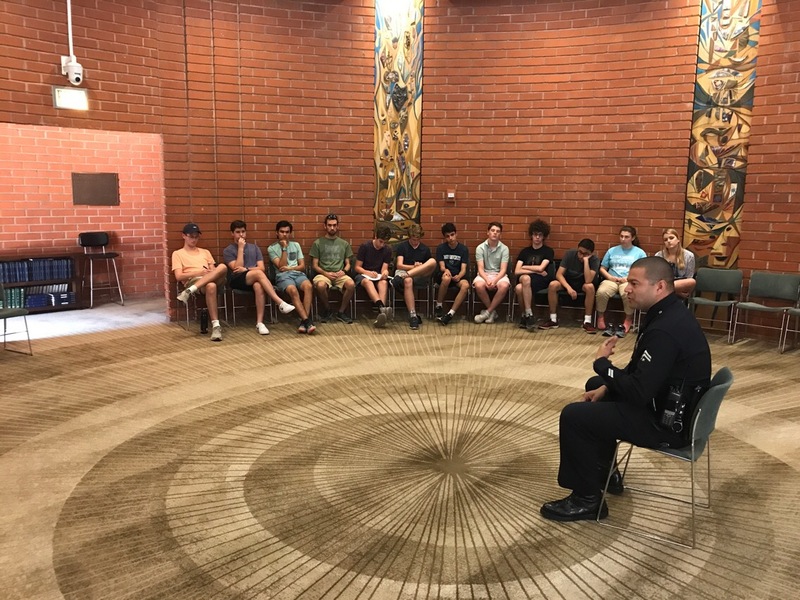 As a group, we had a chance to speak with Officer Lopes, a member of the Los Angeles Police Department. 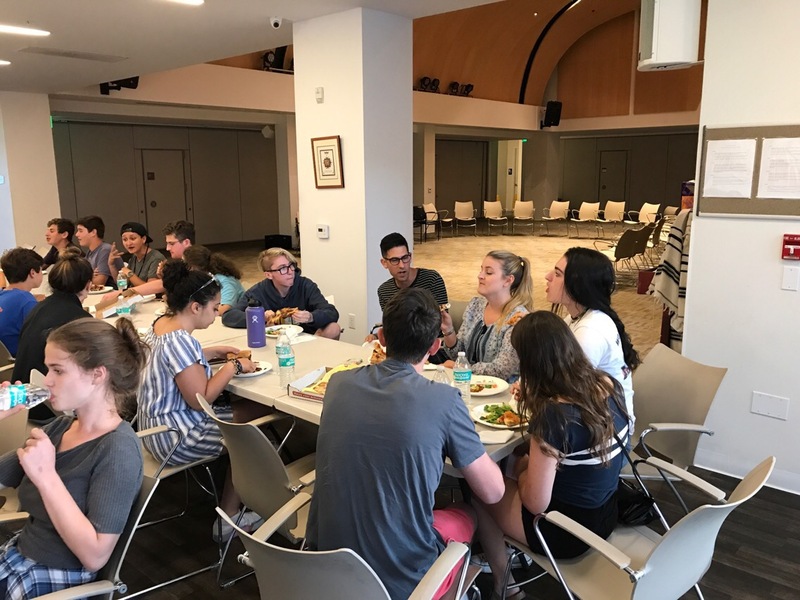 He provided insight as to how the LAPD works today to reduce crime throughout all neighborhoods in Los Angeles and how the current agenda compares to that of the LAPD in the ’80s and early ’90s. The police department strives to create a bond with the day-to-day citizens they serve and protect through community outreach programs and hiring a diverse staff. Officer Lopes also spoke on how the strict protocol and training methods of the LAPD has significantly reduced police misconduct in recent years. He also spoke at length about reducing crime, especially in poorer neighborhoods. The best way to do so, he said, is to promote trust between citizens and officers. 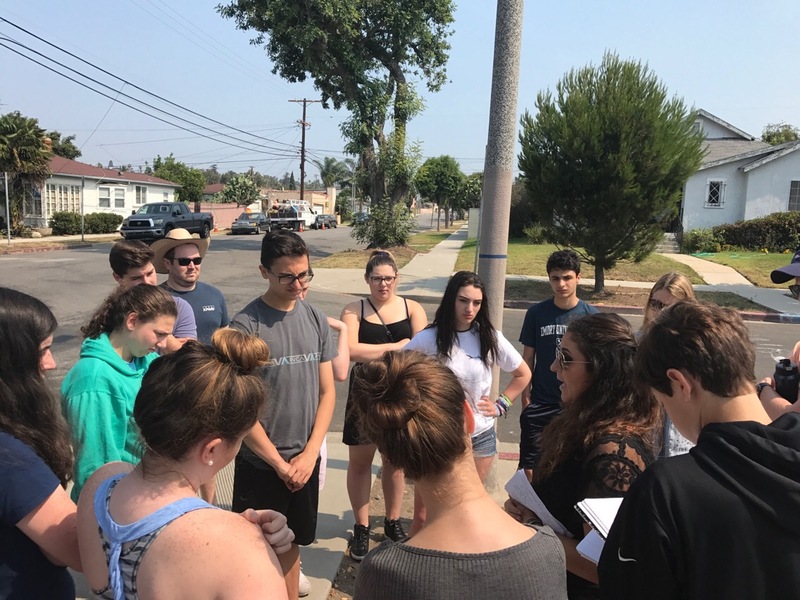 By creating bonds with and getting to know as many people as possible within their assigned neighborhoods, the officers help to discourage crime. In comparison to the ‘stop-all-crime-at-all-costs’ philosophy that many police departments followed in the ’80s and ’90s, this is a very compassionate and effective protocol. Police officers must walk a fine line between protecting our citizens and enforcing the law. With this tough job comes plenty of power. 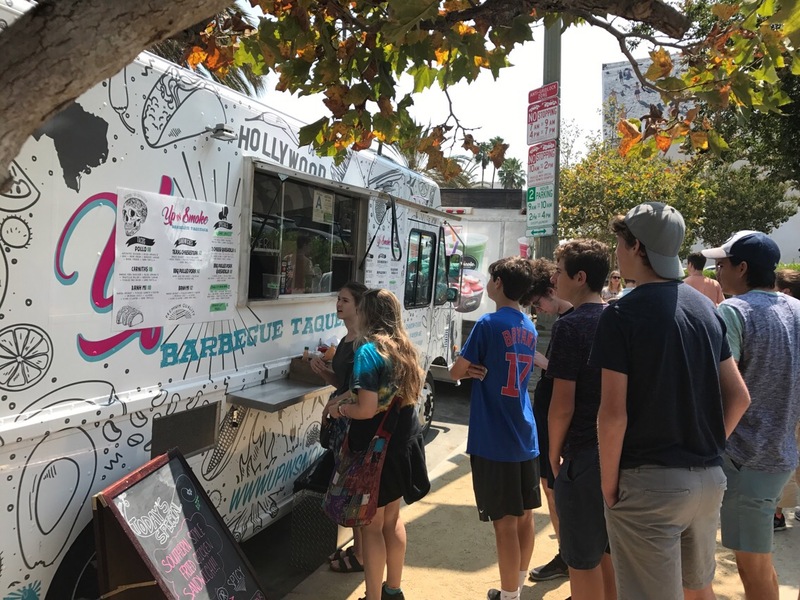 The LAPD’s effort to discourage crime through a direct relationship with the citizens of Los Angeles is very respectable, and I believe police departments around the U.S. should take inspiration from these new programs. 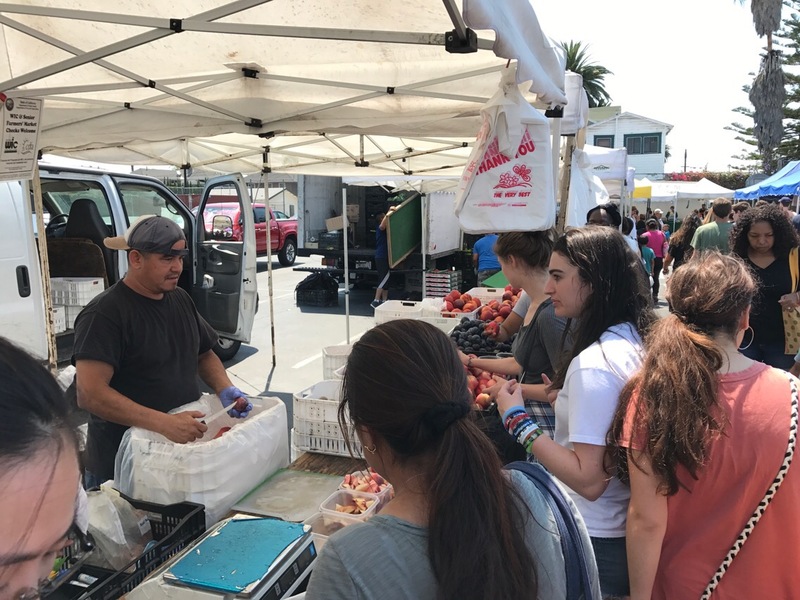 After speaking to Officer Lopes, we headed to a local farmers market to enjoy lots of fresh fruit grown and picked by the vendors. 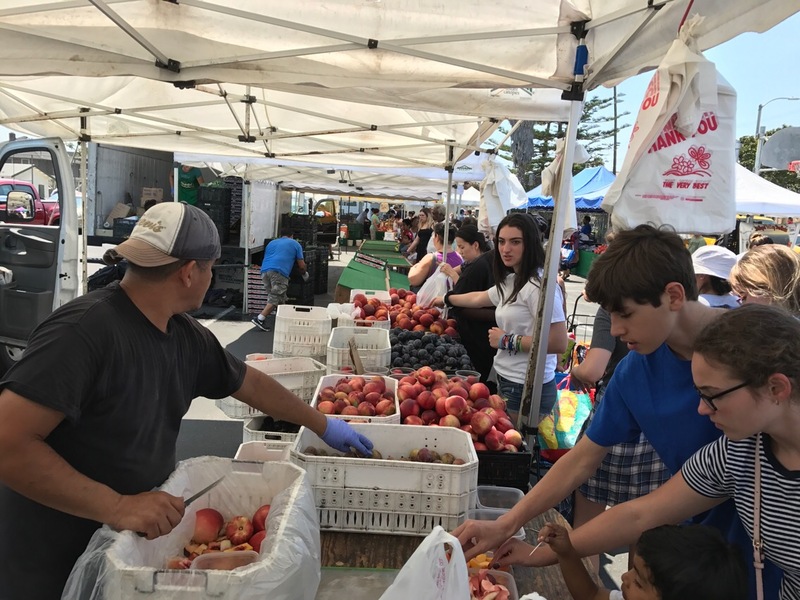 The local vendors also accepted SNAP and WIC benefits. 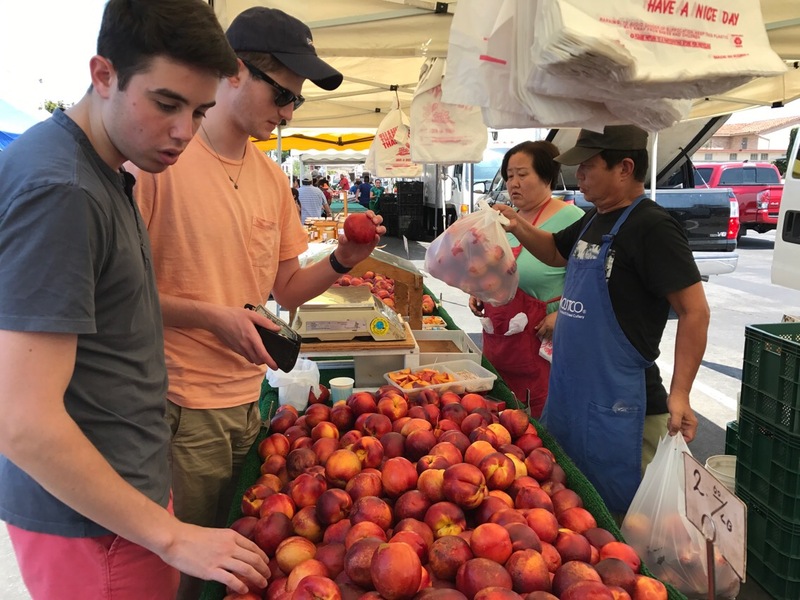 Those who run the stands at the farmers market use their power to make fresh produce accessible to those in need. 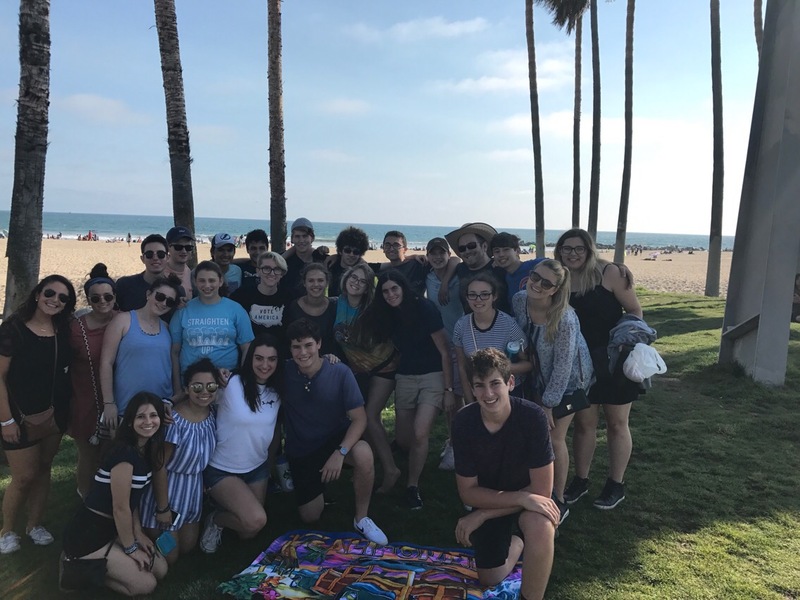 From there, we headed to Venice Beach. There was something awe-inspiring about touching the Pacific Ocean after traveling all the way from the east coast by bus. The waves are much bigger in California than where I’m from, Tampa Bay. The size of the waves took fellow Tampa Bay native Josh Prieto and I by surprise, and we got absolutely drenched in our street clothes standing what we assumed was a safe distance from the shore. 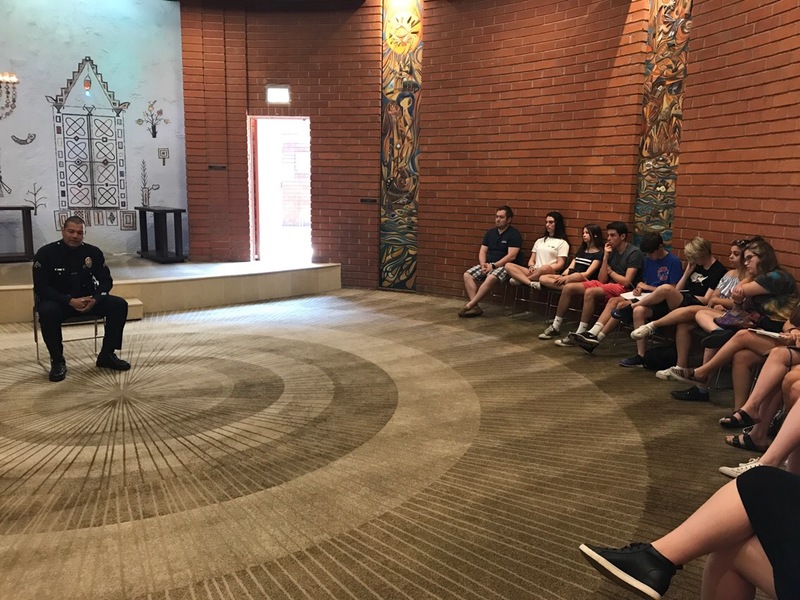 After we were relatively dry, we loaded up onto the bus and headed to Beit T’Shuvah, a synagogue that serves as an addiction rehabilitation center. There we heard stories from recovering residents that really spoke to the power of addiction. 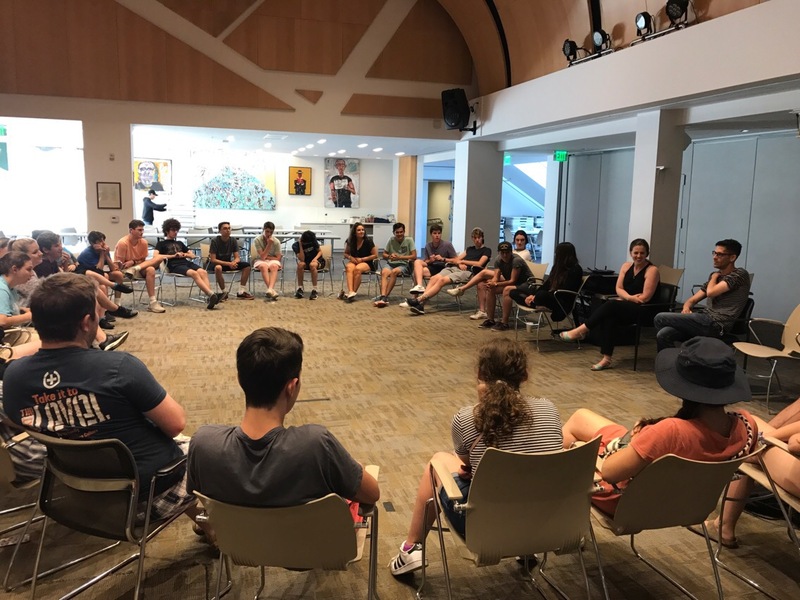 We ate dinner with the residents and staff of Beit T’Shuvah and we spoke with them, which was both informative for us and therapeutic for them. Whether it be the a gated neighborhood, the police force, fresh fruit, addiction, or even a wave from the Pacific Ocean, everything has varying degrees of power. This was incredibly evident in one of the most powerful states and economies in the United States, California.